Students - I have been out of my normal writing routine. 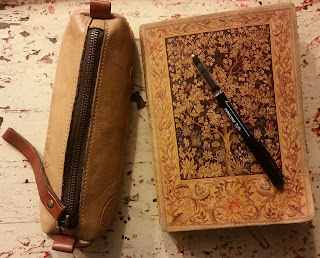 Some good family things, and a big and different writing project have pulled me away from my notebook. These things have been good.....but oh, how I have missed my notebook. I feel like I have been missing part of me. So when I began writing this morning, I really did need to give myself a pep talk. I wrote and wrote to myself about how much better I feel when I am writing regularly, and how much easier it is to write when writing is a habit. Good habits help with living, yet sometimes I let my habits go. Then, I must happily chase them down again. That's what today looks like. As way led onto way in this morning's notebook writing, my pep talk became a poem. I thought I was writing it for you. But if I am honest, I will tell you that I wrote it for you...and for me. The words in this poem are true for me. I hope that it will give me courage when I think to myself, "I don't know if I can find a writing idea today." And I hope it might help you too. Just begin. We all have struggles in life, and sometimes writing a pep talk or a pep talk poem can lift a person up. You might choose to write a pep talk or a pep talk poem for a friend or a family member...or for yourself. The way we speak to each other and ourselves changes our thinking. So writing to ourselves in positive ways matters and makes a difference. And now...a Poetry Peek! Today I could not be happier to welcome second grade teacher and author Mary Anne Sacco from P.S. 290, The Manhattan New School in New York City. 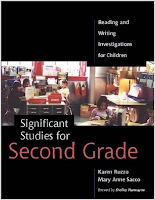 Mary Anne is author, with Karen Ruzzo, of a book I love, SIGNIFICANT STUDIES FOR SECOND GRADE, a book that I know helped inspire my own EVERY DAY BIRDS. This winter’s second snow day in NYC was announced the day before it occurred. 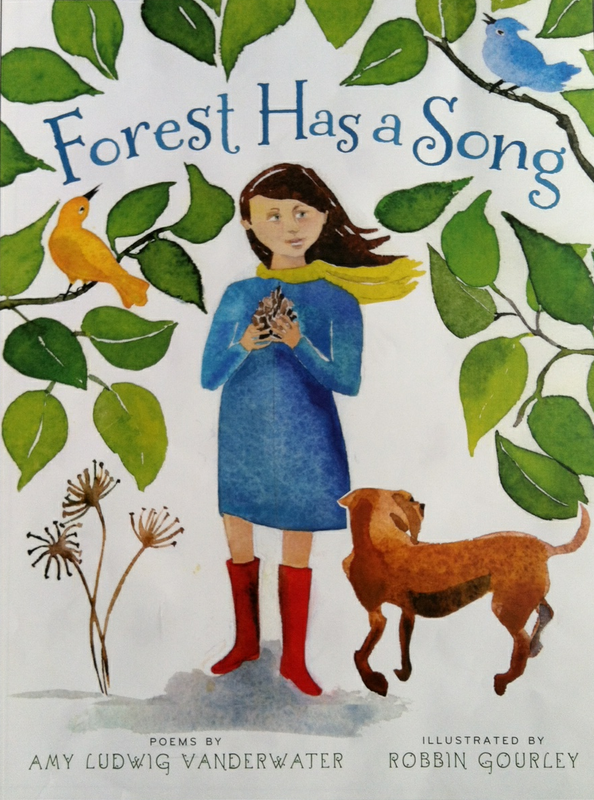 I perused The Poem Farm, as I do often, when looking for some mentor poetry to use with my second graders. 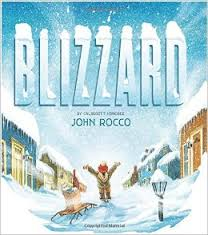 Even though the first day of Spring was only a week away, on this Snow Day Eve, we found ourselves reading aloud John Rocco’s BLIZZARD. We read these two poems from Amy. 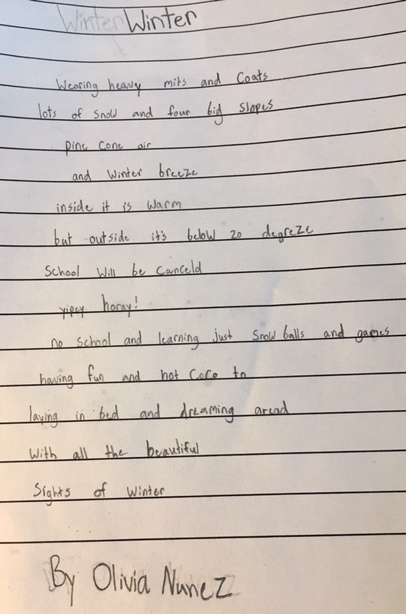 That evening the students had these poems in their home learning packet as mentors to help them write their own snow day poems. 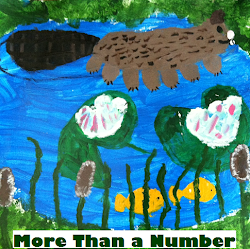 It’s March and we have been using poetry in our home learning packets and in class since the beginning of the year. I also immersed the kids in a short December poetry genre study. We focused on list poems and poems of address. 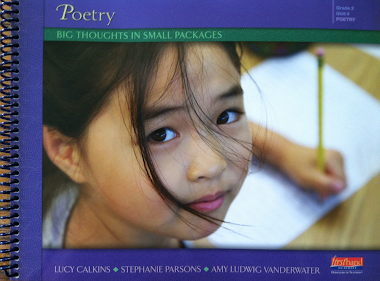 The most powerful teaching came from studying a few mentor poems. And these young writers are still holding those lessons with them. The slashes in some of these poems you'll read indicate the places where the students are planning their line breaks. My students love poetry and many of them choose writing a poem as a home learning choice to share with the class or a family member. Here are a few poetry writing tips from my students. 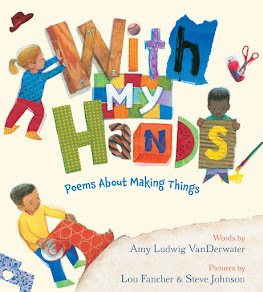 Here are some Poetry Hands. And here are some poems students wrote for snow day home learning. Some of these students' winter poems, as well as their spring poems, will soon be included in home learning packets too. Thank you so much to Mary Anne and these poets for joining us today, during the first week of spring! We can write about any weather at any time of year...and now as we totter between winter and spring, we thank you for these celebrations of snow. 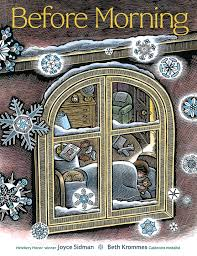 Please allow me, too, to share a beautiful book about snow days. If you do not yet own BEFORE MORNING, by poet Joyce Sidman, do not miss this enchanting work of art. Catherine is hosting this week's Poetry Friday roundup and Kwame Alexander's new OUT OF WONDER at Reading to the Core. Please stop by and visit. We share poems each week, and everyone is always invited. I'm wondering how I will feel next Saturday when I don't have a Slice of Life Challenge post "due." As hard as it has been at times, I'm settling into a comfy daily writing routine. 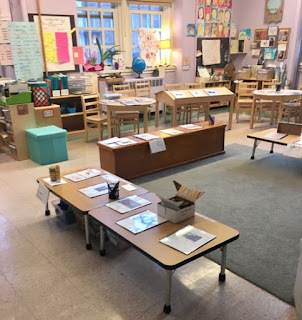 So fun to see the work from Mary Anne's classroom. What wonderful poets, and poetry hands hard at work. This winter has certainly provided many opportunities to be written about! Sometimes I worry about writing about the same things too often, but I'm clinging to your words to hike old paths. Thanks for a poem that is a wonderful pep talk. I'm keeping your poem for those days I need a lift. Thank you, Amy for your words. I love the children's snow poems! Especially Georgia's which is so honest and real from a child's perspective. We don't have snow so it was fun to read these. It was 84 degrees today in Kauai. As always, treasure at your site and in your words. 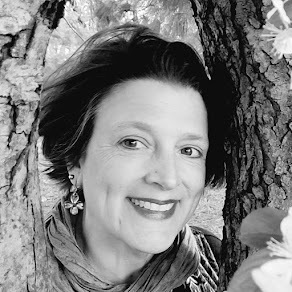 Children in classrooms that urge them to write and give them the tools, like Mary Anne Sacco's, inspire and teach us all about potential, innocence and joy. 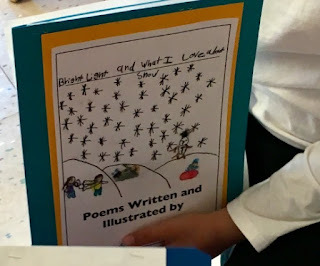 So happy to hear poetry is part of everyday life in her second grade. And it goes to their homes!! I want to read and share her book. Joyce Sidman's work is always a treasure! Janet F.
Thanks for the pep talk. 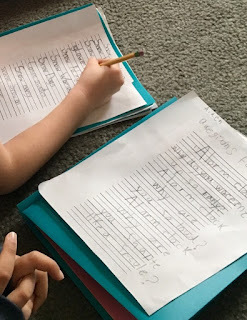 Right poem (write poem) at the right (write) time! "Let writing teach you what you think." Love this, Amy. I'm sharing this blog post on my FB page. Yes, pep talks! Thanks for sharing, Amy. Oh, Amy! This whole post is packed with all kinds of poetic gems. The way you speak of the notebook and your invitation to all writers in your poem offering is a jewel in itself. And when I read the incredible poetry tips and examples from these young writers, I was completely mesmerized. Thanks for sharing as always! Thank you! I needed that pep talk, too, this week. February was full of good things, but they got me out of my writing habit, and I've been struggling to get back into it. Thank you, too, for sharing the treasures of poems and books! What a fun poem Amy, "For You My Writer Friend!" And "Blizzard" is a wonderful book, I loved the story and the art! Rich posting of your poetry and the students tips and poems, thanks for all. Yep. Thanks for that little pep talk! "For You, My Writer Friend" is exactly what I needed to read as the minutes tick by and I haven't written my Slice of Life yet! Mary Anne's students' poems are priceless, and I love Blizzard and Before Morning. A perfect pairing! Thank you for sharing, Amy! Thank you for teaching and sharing! Word of wisdom! Love the rhythm, and especially the message - so true. 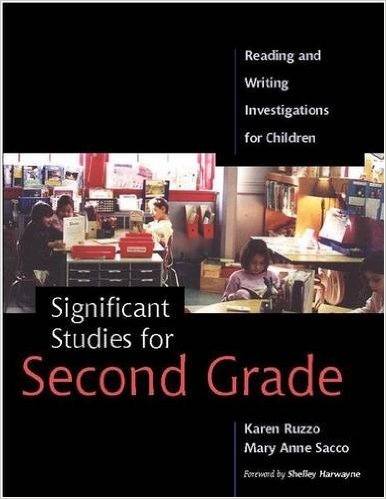 This looks like a beautiful book! I am curious to learn about your April challenge, especially since I just learned today that Crayola is retiring Dandelion from its box of 24! A pep poem.....seriously good idea. I have been writing every day for about four months now. Here's what it took: being very emotional over a situation, turning to a new "sandbox" for writing. I now have six daily gratitude questions to answer. The habit leads to focus and writing. And, I have started a power point slide deck of words and images that relate to my OLW for '17. I now feel like writing is a natural and good part of my day. I would miss it terribly if I didn't get to write.